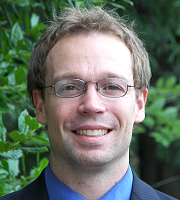 Dr. J. Sean Humbert has been awarded the 2009 Hal Andrews Young Engineer/Scientist Award. A premier award of the National Capital Section of AIAA, the Hal Andrews award is presented annually to a local AIAA member who has not reached their 35th birthday as of January 1st for the year of the award. The award recognizes a single significant professional accomplishment or longer-term outstanding career leadership/accomplishment in the technical disciplines of aeronautics and astronautics. Professor Inderjit Chopra, submitted a winning nomination on behalf of Dr. Humbert. Both will be recognized at an awards banquet hosted by The Council of the National Capital Section of the AIAA on June 18, 2009. Dr. Humbert is specifically being recognized for his revolutionary contributions to the modeling of micro-air vehicle (MAV) dynamics, insect sensorimotor pathways, and associated bio-inspired sensors, that will enable the next generation of autonomous MAVs. Dr. Humbert's bio-inspired research was recently featured in the fall 2008 edition of the University of Maryland Publication Impact which showcases research in the scientific disciplines across campus. He is investigating the sensory abilities of fruit flies and hopes to translate their inherent ability to navigate so flexibly to human-engineered, autonomous micro-vehicles.